Episode 30 - Our 3rd Giveaway and 3rd Read-along! Aaron Mahnke host of the Lore podcast discussing his book The World of Lore: Monstrous Creatures at the Yale Bookstore. GIVEAWAY for our 30th episode is a copy of each of the read-along books noted above. Please email us at bookcougars@gmail.com to throw your hat in the ring. Chris went to the Yale Bookstore to see Aaron Mahnke discuss his new book The World of Lore: Monstrous Creatures and his podcast Lore. Emily has been working at the Noah P. Webster Library in West Hartford Library and got the chance to visit the Welles Turner Memorial Library in Glastonbury. 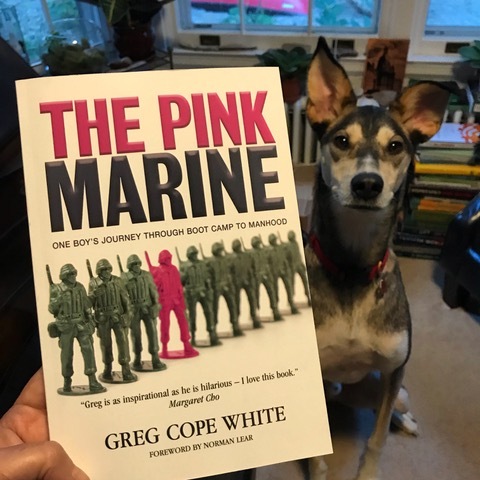 The Pink Marine: One Boy's Journey Through Boot Camp to Manhood by Greg Cope White with approval from Buddy Fitzwilliam Tholak.